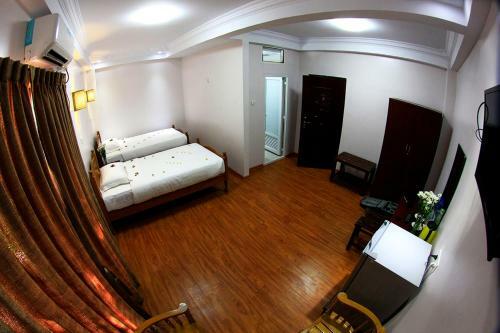 Air-conditioned room features a private balcony, a TV and a seating area. 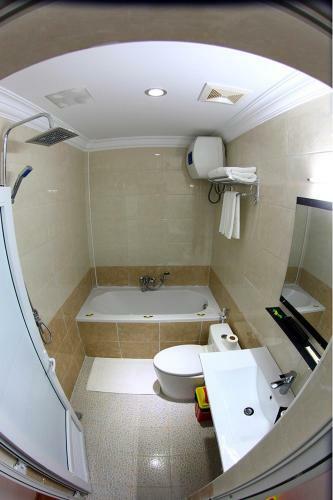 An en suite bathroom has a bathtub and a hairdryer. Please note that there is no capacity for extra bed in the room. 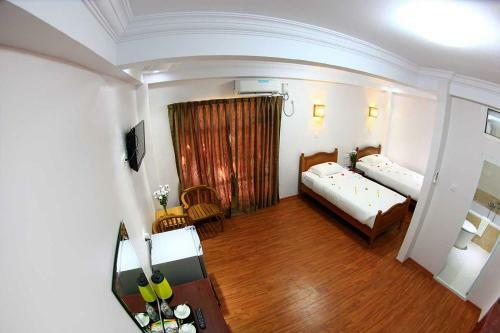 Larger air-conditioned room features a private balcony and a refrigerator. Includes a TV and a seating area. An en suite bathroom has a bathtub and a hairdryer. 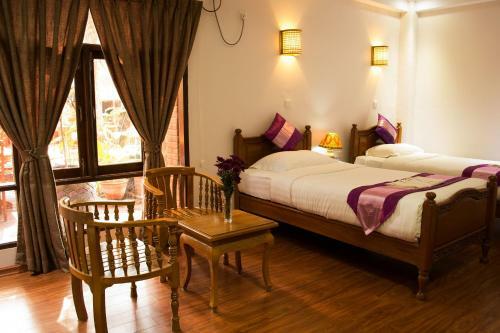 Located in Bagan, The Floral Breeze features cosy rooms. 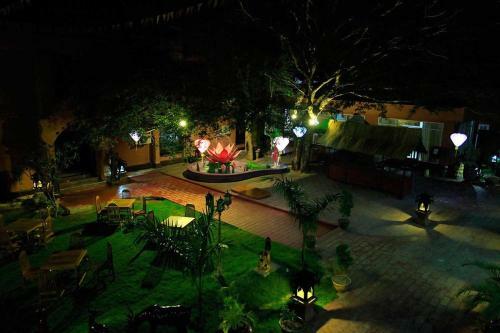 Offering free parking, this property is a 10-minute drive from Old Bagan. Free WiFI is available in all areas. 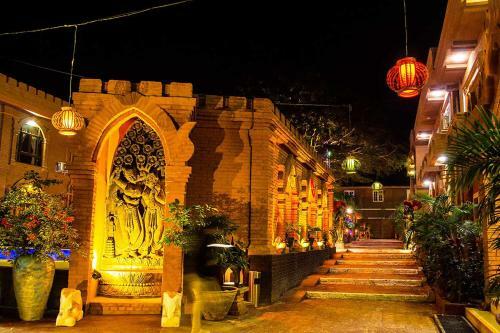 The Floral Breeze is a 5-minute walk from LawKa Nanda Pagoda. 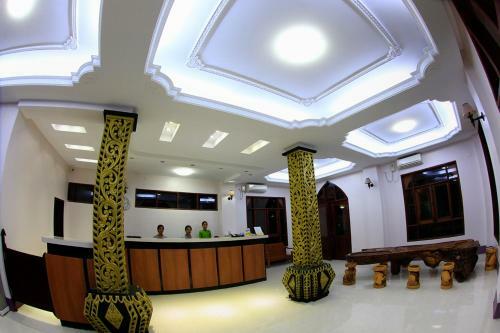 A 30-minute ride takes guests to Nyaung U Airport. 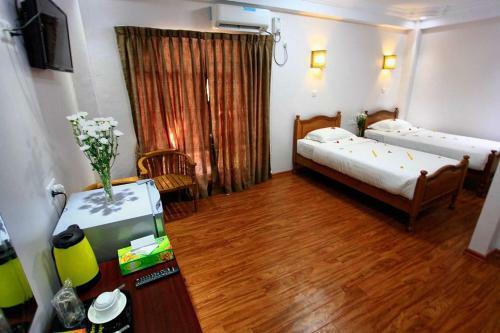 Comfortable rooms are equipped with air conditioning, a seating area and a TV. They also have an electric kettle and a desk. An en suite bathroom has a bathtub and a hairdryer. 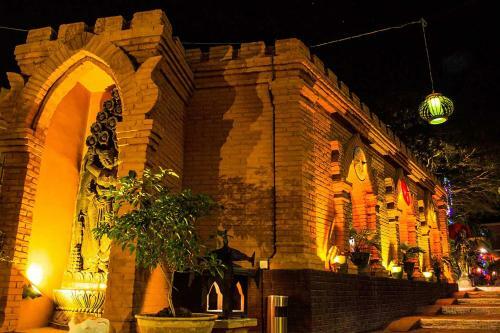 For convenience, the property offers a 24-hour front desk and a laundry service. A shuttle service can be arranged upon request. Guests can enjoy a variety of Asian and European cuisines served at the on-site restaurant. For bookings made from 7 July 2017 onwards, a compulsory Gala Dinner is included in the room rates of 24 and 31 December 2017. The rates of the Gala Dinner are based on room type and occupancy (guests sleeping in extra bed will be charged separately). Impeccable service!! Very helpful and knowledgable staff. Quiet at night, good rest. Perfect place to stay ???? All rooms have a balcony. Very pleasant to sit there & read etc. A great pool for relaxing at the end of the day. Very friendly staff & a great breakfast. 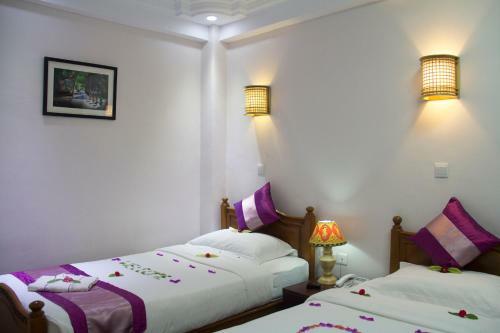 Staff super friendly and professional, nice swimming pool after visiting the temples, and very good breakfast. We took a guide tour proposed by the hotel (one day, visit of the temples and the area) and it was very good. We learnt a lot about the temples and the culture. Overall me and my friend highly recommend this hotel. Hotel in ruhiger lage mit schönem garten und pool. Personal war sehr freundlich und hilfsbereit. Schöner garten mit pool. Gute lage, nicht weit vom fluss. Da am rande von new bagan, war es sehr ruhig. Direkt daneben ein geldautomat. Hatten ebike und fahrradverleih. Ebike war 10usd und fahrrad 3 usd für den ganzen tag. Zimmer war geräumig. Es gab badewanne und extra dusche. Zum frühstück gab typisches warmes essen in form von nudeln und reis. Es gab früchte der saison, toast und marmelade. Außerdem gab es müsli. Der saft schmeckte etwas chemisch. Ansonsten gab es kaffee und tee. Unser zimmer hatte einen kleinen balkon zur außenseite. Der ausblick fiel dadurch auf eine mauer in 2 meter entfernung. Booking double bed and having singles!! stanze confortevoli, piscina, giardino molto bello, struttura molto bella. Heerlijk verblijf in "open museum Bagan"
Mooie bouwstijl (á la Bagan), airco goed,koffie/thee faciliteiten & koelkastje op de kamer, personeel (kunnen allerlei diensten regelen), westerse filmzenders, heerlijk zwembad om af te koelen, mooie tuin, goede locatie in Nieuw Bagan op loopafstand van alle overige voorzieningen. Samenvattend: "wij voelden ons thuis". 수영장도 있고 스파도 있다. 건물도 매우 예쁜 편이고 직원들도 다 친절하다. Amazing value for money - 10 out of 10 ! The staff were very friendly and helpful. The hotel garden and pool were fabulous - perfect after a stay in yangon. Nothing - though there's not much to do in the immediate area in the evening. Beautifully set up with a lovely outdoor area including a pool. The staff were very helpful with all our requests for assistance. We had a well appointed room on the ground floor. The door to our room was difficult to close and lock. towels are constantly changed. More sustainable solution would be welcome. Lovely place. Great staff. Decent price. The staff were fantastic. Even before I broke my leg they were attentive. After my accident (not AT hotel!) they helped, carried and arranged for me to get to Yangon asap. The breakfast items could be labelled. There could be better separation of meat from vegetables. They could also use ice to keep things such as butter cool.